Cardi B's baby is her number one priority right now, and because of that ... she's canceling her Bruno Mars' tour gig this fall. Cardi just made the announcement, saying she thought 6 weeks would be enough time for her to recover mentally and physically after giving birth to her baby girl ... but she "underestimated this whole mommy thing." 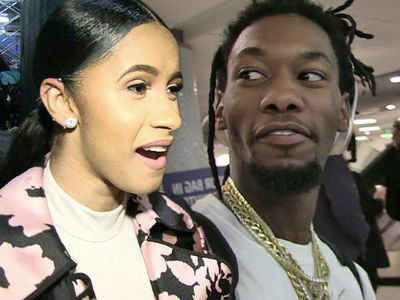 She adds she thought she'd be able to bring Kulture on tour, but doctors told her it's not healthy for her baby to be on the road ... and she's not ready to leave her behind. Cardi says it's been the hardest decision to make, but thanked Bruno for his support and understanding. Bruno replied to Cardi with a heartfelt message, saying, "You are absolutely doing the right thing," adding, "We love you Cardi and we will play Bodak Yellow every night in your honor."